My big girl – hurts my heart when I think of her like that – is now in her second week of school. There were tears (mostly mine) and the unfinished lunches continue, but other than that she is so happy. It makes me a little sad to think that “mama zara days” are over and that my little coffee-croissant buddy will now be gone 5 days a week. I don’t have a stand mixer. When I tell people that they are usually very surprised, but the fact is that I don’t need one. My compact kitchen doesn’t have the room and I love my handheld mixer. When it finally wheezed and whirred for the last time this past week I had to replace it. So I did. With the same one. 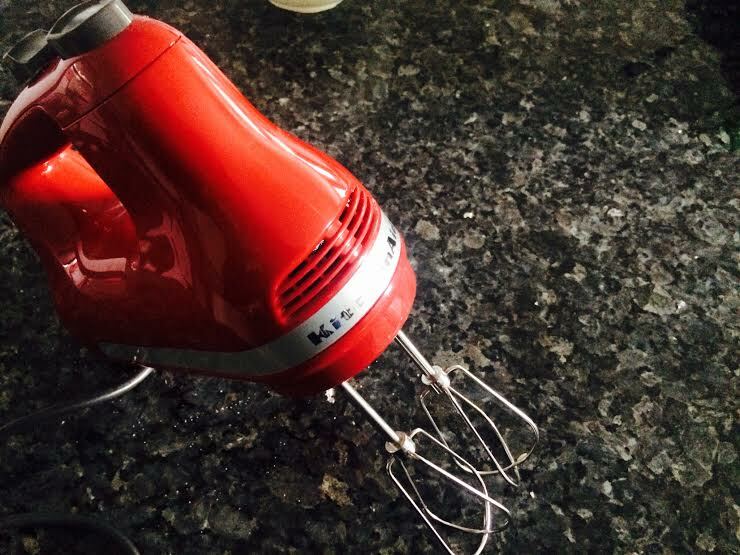 In a different color if that counts 🙂 If you’re looking for a good hand mixer that you can really put through the paces for several years (mine lasted 5) then this Kitchenaid 5 speed is it. No, they don’t give me anything for saying this. I wish. I have recently discovered price matching and it is so easy that I thought I would do a quick share here. Going through flyers with scissors isn’t exactly my thing, but tapping a screen even I can do and that my Canadian friends is where Flipp comes in. It won’t give you Extreme Couponing style savings, but if I can have more money to shop with pay less for my groceries then why not I say! Don’t forget to show a little love for my awesome hosts at The Write Balance, Pink Chai Living and Love Laugh Mirch. so you get it 🙂 you know when I went to pick her up from school today she asked if she could stay a little while longer! Seems that I am the only one mom who is happy that her kids are going to school!!!! 🙂 I guess if I had a girl I might be like you but with three boys… No No No .. better off to school to absorb their energy. Nice post Sarah. Hahah thanks Amira – trust me if this was two months ago when she was in full on brat mode I would have been more than a little pleased but as luck would have it she turned into a little angel for the 3-4 weeks before school started. sigh. Omg what a cutie mashAllah! I can understand how hard the transition must be for you. I remember when I started Zunoon in preschool several months ago, I used to sit at home and just be depressed until it was time to pick him up. and LOL @ Amira’s comment! That was hilarious! 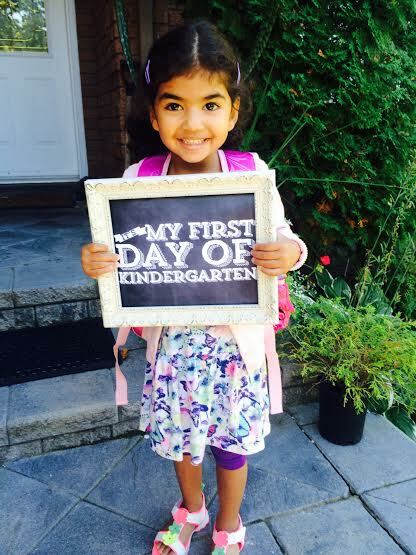 My oldest niece is going to kindergarden for the very first time this week too…. lol tell me about it – I went out for dinner with school friends last night and realized I was a full decade older than most of the people at the restaurant!